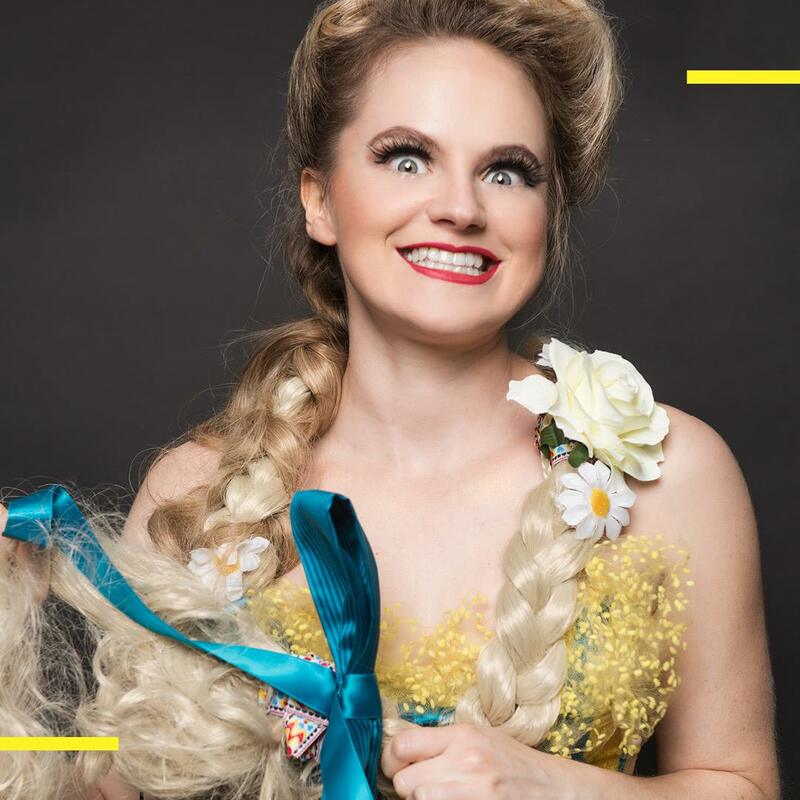 The three Princesses of Babushka promised to tell some brand new fairy tales in a grown up way during their performance at Artsworx at the University of Southern Queensland. Accompanied by the lively piano playing of a colourfully-coated Kurt Weill the princesses were true to their word in Babushka – Happily Ever After. A heart-rending Russian fairy tale Babushka is about a hard-working grandmother, who having missed her chance to take gifts to the newborn Christ Child wanders around leaving gifts for all children in the hope that one day she will come upon him. Their re-telling of Babushka, with diversions into other fairy tales, was in highly accomplished hands. 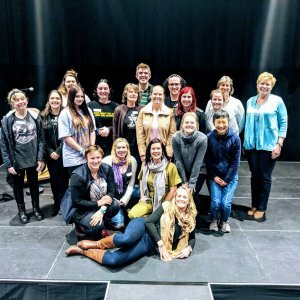 For over recent years the singers Alicia Cush, Bethan Ellsmore and Penny Challen have developed a reputation for possessing a unique ability to present classical vocal techniques in innovative contemporary contexts. 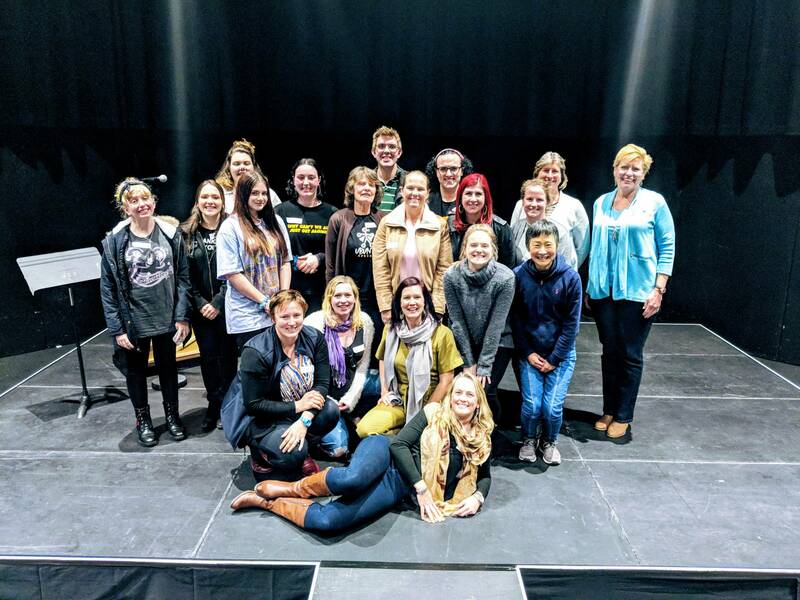 This was all evident as they related, with melodious voices, the travails of their journey from Brisbane’s Fortitude Valley to the stylishly revamped Artsworx theatre complex in the Kingdom of Toowoomba. 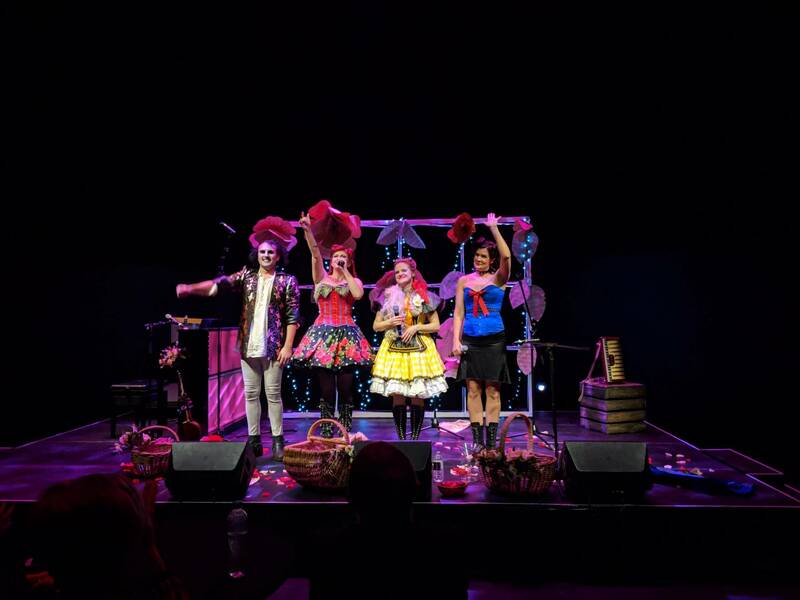 The tempo for a night of enjoyable cabaret was set right from the opening rendition of Hey There Little Red Riding Hood, which was complete with their own inimitable wording. Quickly appreciating the talent of the Three Princesses the capacity audience was treated to some raunchy humour from Bethan as she worked her way around those seated near the stage while singing Happily Ever After. The frenetic pace, with Kurt adding a special brand of back-up, continued through the likes of Mirror, Mirror, Goldilocks and the Three Bears, Cinderella and Rags to Riches– each with cleverly adapted wordings – to a rendering of Mr Sandman as a finale. At that point the Three Princess and Kurt were rewarded with resounding applause, and whistles, from an enthusiastically appreciative crowd. 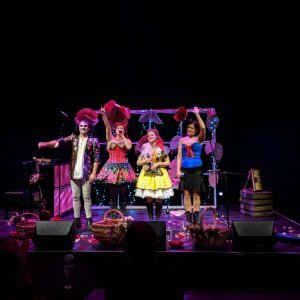 They returned for an encore of Babushka, presented in their own creative and distinctive way. It was a magical ending to a magical night. Readers also enjoyed this story about Swan Lake.